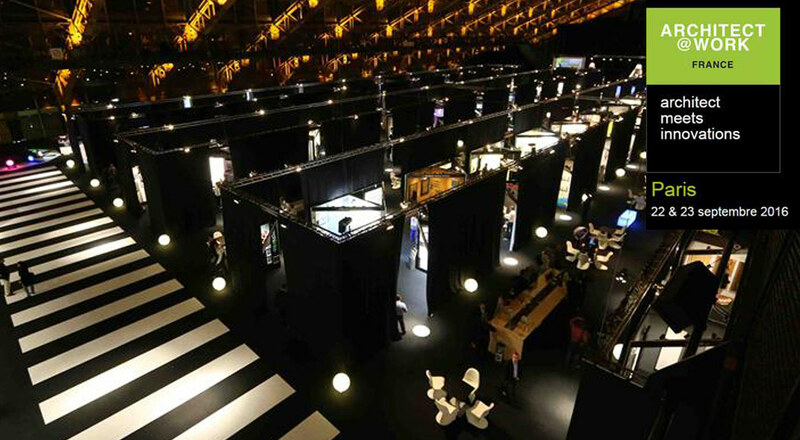 Paris will once again be the architectural capital on 22 and 23 September when it hosts the unique and innovative Architect@Work exhibition. An event that aims to be much more than a simple platform for architects and interior designers. Hence its special emphasis on the exchange of knowledge and innovative ideas through a series of short seminars that present topical issues and where experiences can be shared. In this respect, and in order to guarantee optimal contact between exhibitors and visitors, visitors are led along a route that weaves its way through the stands. Exhibitors can enjoy improved innovative facilities with stands that feature four corner units and a central multimedia console for PC or laptop for their presentations. At Architect@Work Exhibition the traditional aisles are transformed into lounge areas: places in which to enjoy a drink, chat and provide further explanation of innovative products, applications and services. And Codina will be there, along with Maille Metal Design, with all their latest metal mesh projects. See you in Paris!